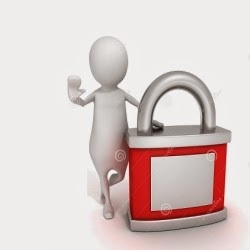 Today, I will be sharing with you guys, four best, solid, simple, convenient, stress free and unbelievable ways to unlock any Nokia device at your disposal, without actually having any idea of what the unlock codes really are. This methods has proven to have worked perfectly in unlocking both old & new Nokia phones, Symbian, Nokia Java S40, s60, and even the new Nokia Asha series. It is completely illegal to invade once privacy without once consent/prior notice. And that this post is only for educational purposes nothing more. This method is simple and requires no expertise whatsoever. The easiest on the list and works mostly on Old Nokia devices. ==>Tap and hold Unlock (center button) Till you see “press * to unlock“. ==>Press * and the phone should be unlocked. 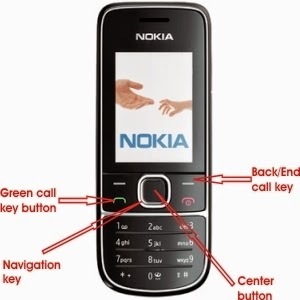 This is almost the default way of Unlocking all Nokia Automatic keyguard lock without security code on it. But the difference is that, you have to hold the center button “still”. Not just pressing it. This method of unlocking your Nokia phone without unlock code, requires the use of the phones 15 digit imei to generate a 10 digit Master unlock code you can use to unlock phone at anytime. ==>While phone is unlocked, dial *#06# to retrieve the Phones 15 digit imei or open the back case of the phone and carefully copy out the the imei written there. ==>Goto http://www.unlockitfree.com and click on “Free Remote Instant Master Code“. ==>Enter the 15 digit imei number of the phone you wish to unlock and click on Generate. ==>Copy the 10 digit master code generated. And use to unlock phone whenever you wish to unlock it. Normally when its not locked, you will need to press the Center button then * to unlock. But since its locked, after pressing the Center button, followed by *, you will then be required to provide the unlock code. To bypass that and unlock without code follow this steps. ==>Turn On the Nokia device, and allow to finish. ==>While on Standby mode, dial 112 (Emergency call number) and Tap the Green call key to send. ==>Wait for one (1) second and hit the top right “End Call” key to terminate call. ==>You should notice that the phone forgot its self and displayed Goto by the left side, Menu at the center and Music, Media, Calculator etc on the right depending on what’s set. ==>Now when you notice that quickly Tap Menu (center button). This should take you to the phone menu. ==>Repeat step again but this time tap the Navigation keys until you get to settings. ==>Under settings, Goto Phone=> Automatic keyguard. And turn it Off. The phone should now be wild open. I call this the oracle method. I’ll say Nokia really did a very big mistake by letting this loop hole exist in most of its phones. Its the simplest and fastest way to unlock the new Nokia Asha series devices, without any code whatsoever, no master code needed, no software. And you know what? I revealed it to my little Nokia freak cousin, and the first week, he used it in unlocking his phone each time instead of using the actual unlock code. ==>Hit Unlock (center button) followed by *. As if you want to unlock, but instead of the code. ==>Input 911 as the code and hit the Green Call key to send. ==>Immediately after sending, Tap the top right End call key twice to unlock. ==>The phone should now be unlocked. And shall remain open till you reboot the Nokia device. Having problems getting by the post explanations, and need more light? Did you finally unlock your Nokia phone? Do let me know. how to reset security code of which i forget. My phone is Nokia Asha 203. How can I reset my security code which I forgot for Nokia 3500. When I switch it on it shows security code. There is nothing I can do now. The ways i have seen here is real i used it on my asha3o2 and it workd .but nw i hav an android phone and i want 2 no hw to and flas it. Imei 357273053970663 master code 7007703561 .. nokia asha model 201 master code shows error .. this 911 does not work .. same goes for that *3 green button +3* end call button .. these methods do not work ..
is there no other way to unlock your phone if you have forgotten the security code? I luv ur addition in de promotion of science and technology. How do i unlock memory card, pls help! i tried this master code and it work just as u said. U guyz are so perfect when it comes to phones. Dat 911 wok for my nokia c1. Bt hw cn i change the security code wen i dnt remember the old security code.plz help o! Pls help me to find the security code of my nokia 200 cos i whant to restore it but i dont no the actual code cos it s been fix by some body pls help me. Plz, apart from this Nokia fone is there any way i can unlock Samsung fone with imei num. 359207120724180, 359207130724188 & the Model is C3222-TV plz. i appricate ur work for us nd for ur time.i have nt tried it yet bt i belive.pls frnds follow the instruction well. Thank you!!!! The fourth option worked for my Nokia Asha!! Nokia asha 302 is locked not able to open. thank u soooo much… may Allah bless u always! u have solved my major problem. i was worried from last 1 week…. and finally i visited this site… thank u again…. Pls How Can I Unlock My Nokia Torchlight Phone. Its Showing Security Code When I Switch It On. I Have Tried 12345 But Its Not Working. Pls Help Me. 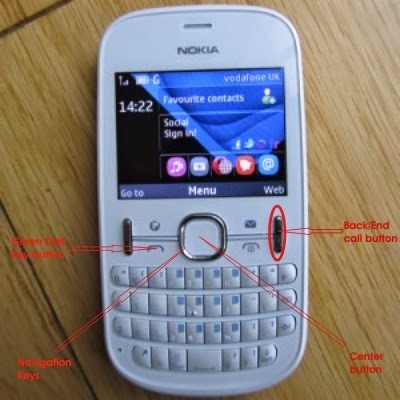 Pleas, i forgot my unlocking code of my E63 Nokia symbia phone, can you guys help? How can i find my nokia c1 code? While phone is lock, Dail 112345 for nokia 300 it work on nokia 300 alone. what is d breaking of all Nokia phone code. Pls My Phone Asha302 Is Lock And I Dont Knw Security Code,. Don’t be fooled. Nothing works. That 911 method help me alot. Thanz alot@@@admin. We provide Sugar Daddy and Sugar Mummy Services in the Nigeria the only apparent problem seem to be an issue of privacy, there is an under-ground arrangement to assist you financially if you are interested. Lots of sugar daddies and mummies in Nigeria are looking for young and vibrant babes and guys to satisfy them in bed,but the problem is keeping secret They are ready to take care of you financially and pay good amount for a start. If you are interested call or whatsapp 08158669490 and get hooked up with one. You must be at least 19 years for guys who need ladies and 18 years for babes who need daddies. Unfortunately we no dey 9ja now. We dey abroad dey rugged out influential Asian and White Caucasian mummies on face up controlling the cutest from any pert of the globe to where we are. Its not beans. We 9gerians are rugged.,very Wosky. How much those ones for Bongo fit pay?Them fit give guy man 50 mill? I pray. Na only 9ja peeps dey here? Which kind site be this one? Nawa o.
i need a master code of nokia 105 pls.